Chemical weapon production facilities and 40 tons of poisonous substances have been found in areas liberated from militants in Syria. 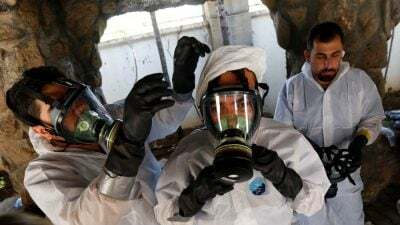 “The Syrian Foreign Ministry pointed out that more than 40 tons of poisonous substances were found on the territories, liberated from terrorists,” Igor Kirillov, the commander of Russia’s Nuclear, Biological and Chemical Protection Forces, said on March 21. Kirillov made his comment during a press conference in Moscow concerning the poisoning of former Russian double agent Sergei Skripal. The U.K. and some Western states accuse Russia of being behind the incident. Kirillov recalled the case of Khan Shaykhun (Syria) and said that the UK and Western states are prepared to use any means necessary to discredit Russia. The alleged chemical attack in Khan Shaykhun took place on April 4, 2017 in an area controlled by militant groups, mostly Hayat Tahrir al-Sham (formerly Jabhat al-Nusra, the Syrian branch of al-Qaeda). Up to 100 civilians were allegedly killed by sarin gas. The US-led block accused Damascus of the attack (according to this version, the gas was released in an airstrike by government forces) and fired 59 Tomahawk cruise missiles at the Shayrat Airbase. Washington claimed that the Shayrat Airbase had been the very compound from which jets allegedly armed with the chemical took off. Meanwhile, no real investigation of the Khan Shaykhun incident took place. 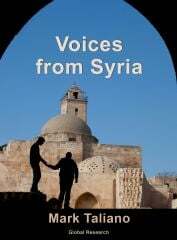 Some experts believe that the chemical attack was staged by militants in order to blame the Syrian government.